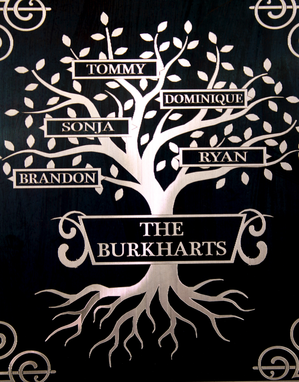 Beautiful diamond engraved family trees are unique customized gifts perfect for weddings and anniversaries. 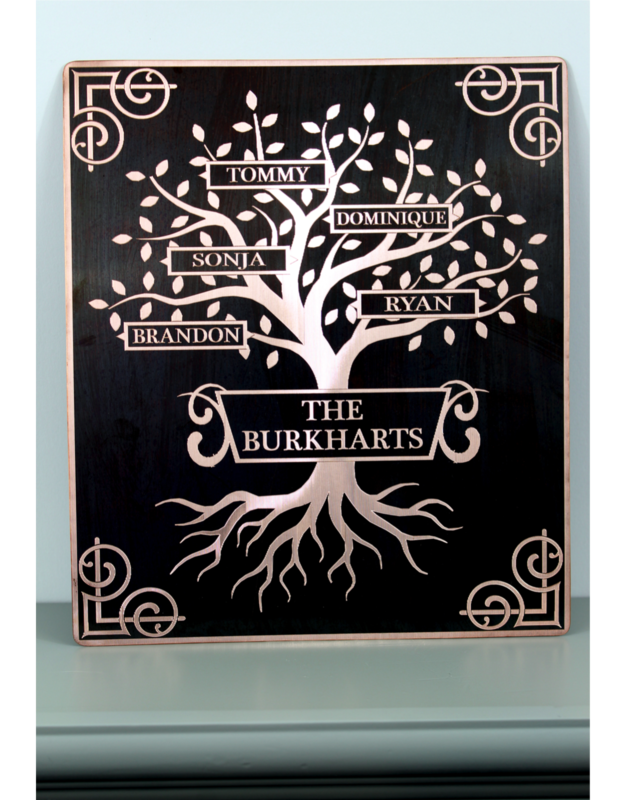 We have a unique process where we antique our metals, and then engrave them to expose the bright metal underneath. 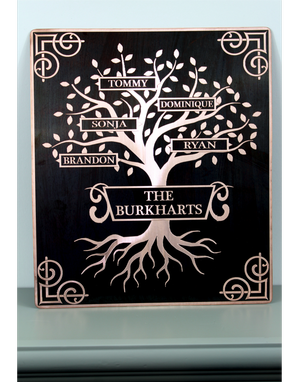 Leave the metal exposed or place in a box frame to elevate the luxury of this treasured piece!